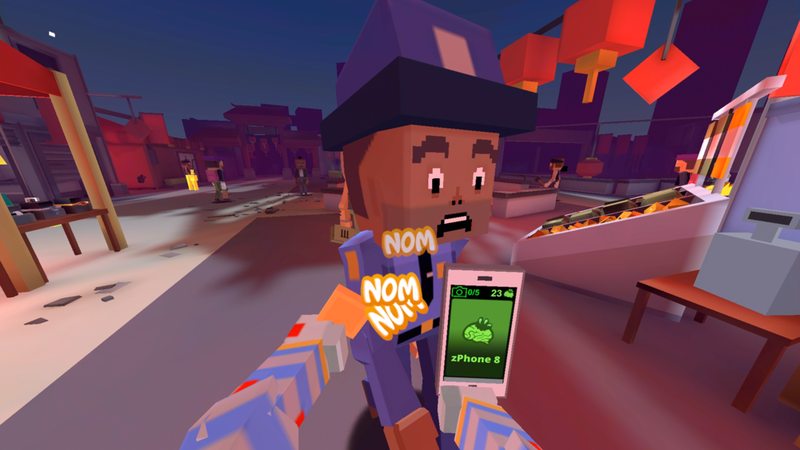 Zombie Nom Nom is a zany first person eat-em-up for the Gear VR. 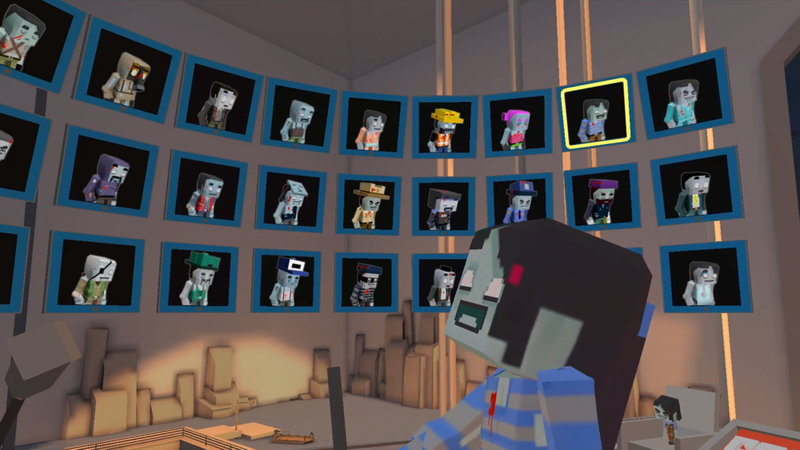 You’re a one-person zombie apocalypse on a romp through a delightfully insane world. Add zombies to your horde by walking into clueless “peeps” and nomming their brains. Cause hilarious pandemonium as you unlock new playable zombies such as Queenie or President Zump and take in-game selfies of your antics. Romp through varied locations such as a secret underground lab, a pumping nightclub, an abandoned mall, the film set for a horror movie and more!